We have a unique take on accounting. Businesses in Germany have to meet around 11,000 information requirements. In every industry, bothersome paperwork is one of the biggest consumers of time and energy. But especially freelancers, the self-employed, and small enterprises can be literally brought to their knees by their accounts. This clientele therefore wants one thing: They want bookkeeping to happen on its own. A developer team worked on precisely this with more than 800 users. The result is the integrated online solution lexoffice. It gets the necessaries done in next to no time, which frees up time for core competencies, saves money, and is positively fun, because lexoffice shows how simple web-based accounting can be in the cloud. Resounding success needs a new beat. To shape up your company for the future, you have to get the rhythm right: The thunder of heavy rock can be just as inappropriate as dull elevator music. What you need is an integrated, agile, measurable, and individual HR solution. Rhythmix combines consulting, software, and professional development to bring dynamism to your corporate strategy. After all, a company’s organization should always be aligned with its business goals – and not vice versa. Various units at Haufe Group with employees from many different countries work in concert on this solution, so that national and international customers can harmonize their ideas and objectives. These customers include big players with noteworthy names. The cloudier the future, the brighter the outlook. Every year, the amount of data in the world increases by around two billion gigabytes, which is equivalent to 250 years of nonstop television. Without a doubt, the cloud is the right place for such staggering quantities of data. Not only is data secure here, it’s easy to manage. What’s more, there’s no need for expensive investments in technology and infrastructure. Small and midsize enterprises love our individually extensible ERP cloud application lexbizz. Automatic accounting, an ELSTER connection, and a DATEV interface especially for accountants inject freedom. 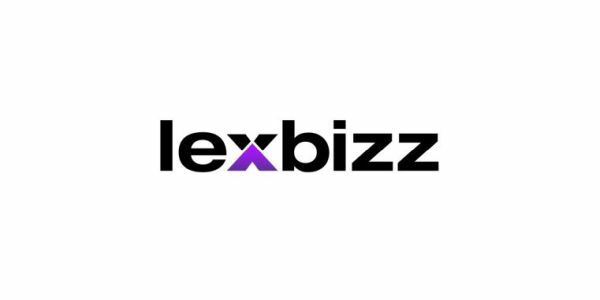 But even lexbizz has its limits: It’s hosted exclusively in Germany. The world is spinning faster and faster. Our customers’ technologies, markets, and competitors are changing at ever greater speeds. And knowledge is exploding. Current estimates predict that the world’s knowledge will double every five to 12 years, with increasing acceleration. If you want to keep pace with this change, you have to reexamine the basics – such as learning. We shape the future of learning with digital solutions. Pre-structured, thoroughly thought-out, and self-determined learning experiences help companies master the challenges of the transformation process. Digital learning solutions by Haufe are today’s answer to tomorrow’s questions about HR and organizational development. Tax returns? No big deal. There’s no denying that tax returns can be dull, dull, dull. And complicated. They’re required to bring clarity to people’s incomes. Yet, the process is anything but clear. Fortunately, Haufe Group knows the ropes. We set up a company just for this purpose. It has the same name as its product: smartsteuer. File your tax return in three smart steps, with a web or tablet application. It really couldn’t be simpler or faster. What’s more, you’ll find information and tools on the smartsteuer portal and a chatbot on Facebook. Top grades for top references. Many factors must be considered when writing employment references: politeness, truthfulness, completeness, and clarity. Clarity can be tricky, because the language of references is formulaic. Employment references in Germany must not contain negative statements, so codes are used to express grades – and deciphering these codes must be straightforward. Such a bizarre form of communication can often cause headaches. That’s why a Haufe team comprising developers, editors, and marketing specialists created the software solution Haufe Zeugnis Manager. More than 20,000 users now create legally sound references, headache-free. Know the value of knowledge. The digital age is all about data. It can be retrieved from the depths of the Internet easily and fast. However, it must be relevant and secure, because that’s what differentiates information from knowledge. Businesses will always need a competent and reliable knowledge partner. This partner is Haufe Group, with the digital Haufe Office line. It’s practical and user-friendly, and many companies can’t imagine life without it – for HR, tax, and finance. Our experts in Freiburg in Germany and Timişoara in Romania work across locations to build dependable online solutions for trailblazing knowledge management. Highly talented software finds highly talented employees. In 1997, Steven Hankin coined a combative term that seems more pertinent than ever today: war for talent. But the switch from “recruiting staff” to “attracting talents” requires no bloodshed, few words, and not a lot of equipment. All you need is a little skill, the right approach. The umantis Talent Management software solution covers applicant management, HR development, learning management, objective setting, remuneration, and succession planning. It combines state-of-the-art methods with the power of the Internet and social media. umantis Talent Management facilitates cooperation between the HR department, managers, and employees – and brings it into focus. The company behind this solution – Haufe-umantis AG – is living proof of how modern corporate culture works, because the employees there elect the management team themselves. This digital library speaks volumes. According to UNESCO, a book is “a non-periodical printed publication of at least 49 pages.” Printed? Not anymore. Today, we have e-books. They give just as much knowledge but take up far less space. What’s more, large collections of books need maintaining, managing, and archiving. An electronic library is simpler, cheaper, and less time-consuming. With its eLibrary, Haufe created an application for companies and universities to manage their digital content, including e-books, e-journals and, in the future, audio and video files, too. A team of just 12 people in Leipzig ensures that companies have thousands upon thousands of media safely under control.